'80s Robot: May I suggest we save time and pick up the rest of the Muppets using a montage? Oh, great idea '80s Robot. 87.3 miles to go. 87.2. '80s Robot, do you have to do that? The secrets of the universe. I guess we're in. 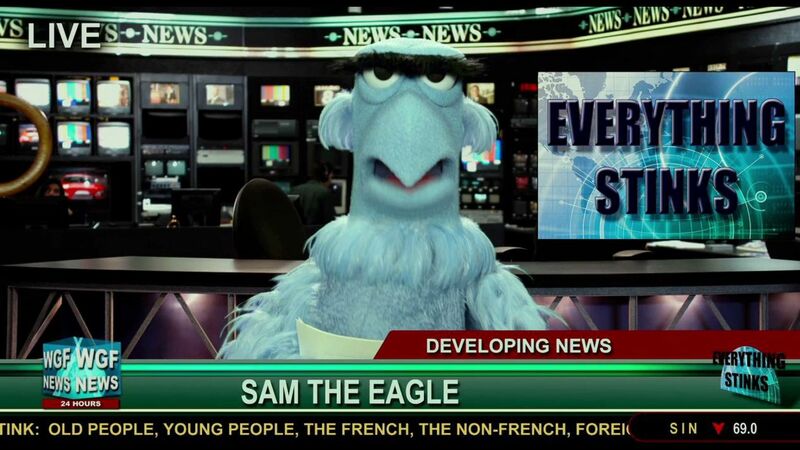 Sam the Eagle: Welcome to this week's edition of: Everything Stinks. Scooter works at Google: By Liza, off to the TED conference. Think we should've rented a bigger car?